Although I'm not an aggressive product-pusher, the kitchen pantry is one of those storage zones that can really get a boost if you incorporate the right systems and items. And show it some love, obviously. So let's get in there and give your pantry and food items the facelift that they deserve. Who's with me?! These are fantastic for maximizing vertical space and keeping small or loose items handy. Great for open ("active") snack bags, chocolate collections, or small candies. Don't forget to take advantage of the backs of doors! These are perfect for spices, oils, or your can collection. These containers are perfect for ingredients that you always have in stock (flour, rice, sugar). They'll keep things fresh and easy to see so you'll know when it's time for a refill. If you've got tall shelves, these are key for maximizing space. It's like creating stadium seats so you can see what's in the back and easily access it. 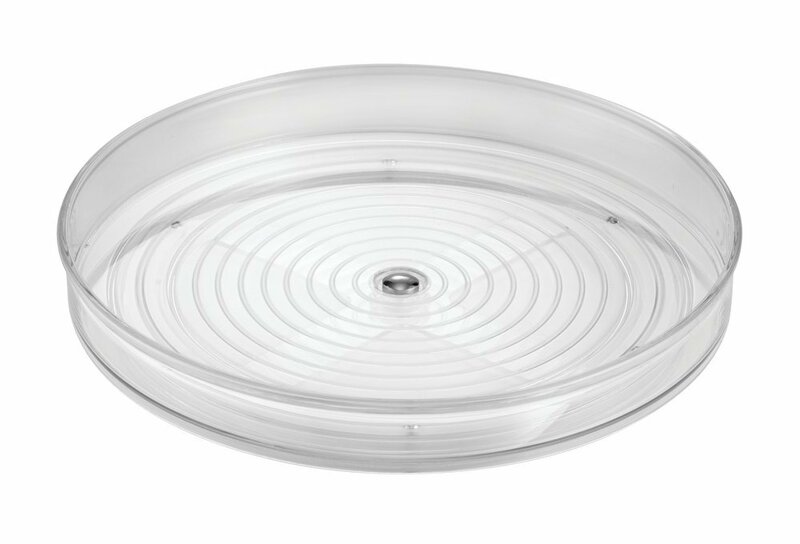 By far one of my fave products, the Lazy Susan works great for oils/vinegars/condiments so you can see exactly what you have without letting bottles hide in the back. A must-have, if you ask me. These work great to keep like-items (like nuts, baking supplies, or snack bags) together and contained. So fill up the shelves with 'em!